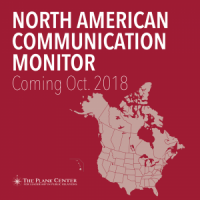 World’s largest survey in strategic communication demonstrates increasing influence of the communication profession in organisations and societal debates. 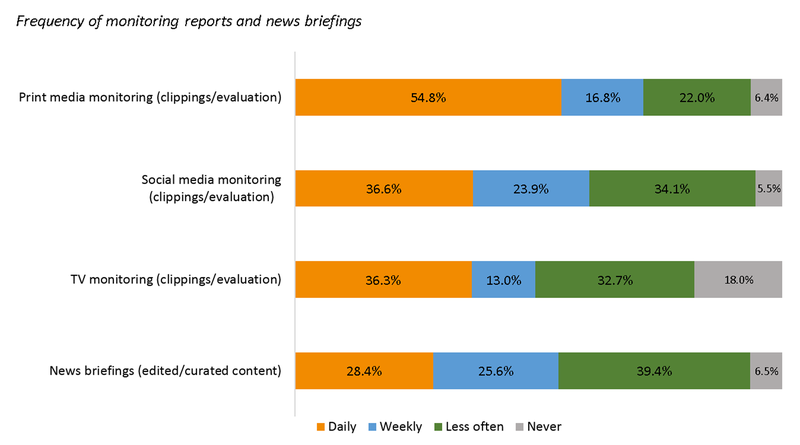 Brussels, June 29th 2017 – The European Communication Monitor has been surveying trends in strategic communication for more than a decade. 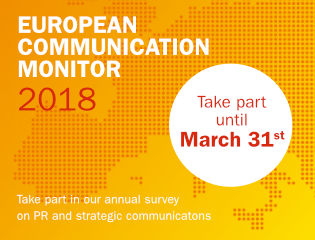 This year’s edition is based on a record number of 3,387 respondents from every European country, ensuring it makes once more an outstanding contribution in the area of strategic communication and providing valuable insights for professionals working in public relations, business or political communication. Moreover, this year’s Monitor deals with the cultural transformation towards hypermodernity and offers detailed insights for everybody working as communication managers for small, medium or large organisations in the public or private sector. Comparable global data for the Latin American and Asia-Pacific regions make the Monitor even more relevant. The fact that we live in a visual society and social media and mobile communication boost all types of visuals is clearly observable and broadly recognised by European communication managers. However, 53.3 per cent of the surveyed professionals have low visual communication skills – compared to 12.1 per cent with high visual competencies. That is also true at the organisational level. More than 80 per cent of the professionals have implemented standard guidelines for their visual communication. However, only 36.7 per cent have developed advanced guidelines and less than five per cent have advanced management processes for visual communication. 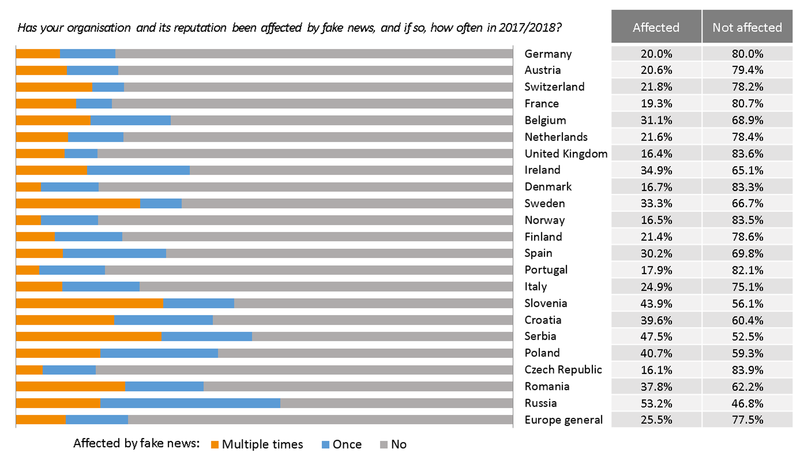 Despite the growing commercial and political application of social bots findings from the ECM 2017 data demonstrate that this phenomenon is largely neglected by many communication professionals in Europe. Only one third follow the debate about social bots and 15.9 per cent have no idea about the topic at all. In this context social bots are mainly seen as a threat for public debates and organisational reputation alike, although four out of ten respondents do also see opportunities arising from them. 73.2 per cent of all respondents agree that social bots present ethical challenges for the profession. A hypermodern society is a society in overdrive, characterised by a culture of hyper consumption, hyper change, and hyper individualism. 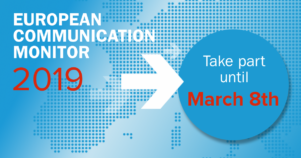 A large majority of 71.5 per cent of the European communication professionals witness the cultural transformation towards a hyper modern culture in their country. The transition from a postmodern to hypermodern culture is the strongest in consultancies (57.2 per cent) and private companies (51.8 per cent). Organisations with postmodern and hypermodern characteristics are ahead in sensing the trend towards an overarching consumer mentality. Most of them think that it has already changed communication with stakeholders and a large majority thinks that it will change their communication in the next three years. Quality management and continuous improvement is less common in communication departments and marketing, compared to other organisational functions. If communication departments assess their activities at all, they focus predominantly on the performance or impact of messaging activities. 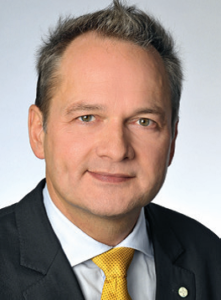 Holistic benchmarking approaches against externally validated standards seem to be less relevant. 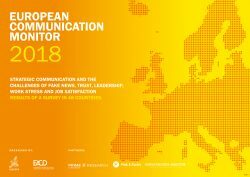 A joint study by academia and practice, the ECM is organised by the European Public Relations Education and Research Association (EUPRERA) and the European Association of Communication Directors (EACD), supported by partner PRIME Research, a global leader for media insights, and media partner Communication Director magazine. The communication monitor series is known as the most comprehensive research in the field worldwide covering more than 80 countries – the European survey is complemented by bi-annual surveys in other regions like Asia-Pacific and Latin America.